Management retention is the single most important factor in running a successful restaurant, beating out product, concept, segment or size. That fact comes courtesy of recent research from TDn2K that showed how solving the issue of management retention could in turn solve many of the other problems restaurants face. In other words, increase management retention, and as a result, you will drive cost savings, reduce employee turnover, increase customer satisfaction, improve revenue and raise morale. So how can restaurant owners help retain their top managers? By empowering managers to make better decisions about the following through the use of technology, tools and training. On average, restaurant managers spend approximately four hours per week on writing schedules. And even once the schedule is written, the scheduling process never really ends. Managers face —not when there are endless phone calls, texts, emails and sticky notes to contend with, all an effort to communicating some change to the schedule. Online scheduling reduces the time it takes a manager to create a schedule by 75 percent because they can copy past schedules and make tiny tweaks instead of starting from scratch each time. And when it comes to changes, employees can request edits or time-off through an app, giving managers one-click approval and a bird’s eye overview of the schedule with real-time updates. When employees are able to clock-in however early they arrive or wait and clock-out a while after their shift ends, the bottom line takes a hit. On average, approximately 15 to 20 percent of a restaurant’s staff will clock in at least 10 minutes early each day, wreaking havoc on overtime and labor hours paid out. It’s harder to effectively manage a schedule and adapt to weekly fluctuations in staffing needs with employees clocking-in or out outside of their designated shifts and driving up unbudgeted labor costs. Integrated POS systems and labor management tools alleviate this burden by allowing managers to set up rules in the back end. For example, managers have the option of forced clock-outs at the end of a shift or only allowing an employee to clock in five minutes before the start of their shift. These rules give the power back to managers to get the actual schedule closer to the schedule they write. Regulation remains a fact of life in the restaurant industry, and sometimes it seems as if new regulatory hurdles are cropping up daily. As an industry that has a long history of employing minors, restaurants have to monitor these younger employees much more closely than their over-18 counterparts because of minor employment regulations. Customizable scheduling platforms give managers the option to input all the regulations about employing minors so when creating the schedule, the platform does the work for them by letting them know when they’re close to hitting the weekly ceiling of hours and ensuring that an adequate number of breaks and meals are scheduled. The local school calendar can even be input into the platform, so managers know exactly when summer break begins. One reason managers end up burned out is because of the sheer number of metrics and data they are required to keep tabs on at any given moment. Technology-based tools like HotSchedules offer managers a simple route to cultivating best practices in store scheduling and also streamlines metrics and tracking into one platform. Through these tools managers can engage with staff across messaging, track compliance (minor laws, meal and break planning, overtime, etc.) and certifications (food safety and alcohol service certifications, etc. ), check time-off and availability, integrate weather and make adjustments based on forecasts. Restaurant owners can empower managers by acknowledging that they need help. Managers need a solution in the form of an intelligent restaurant operating system that can help them plan and execute the expected while also equipping them to deal with the unexpected when it inevitably arrives. By engaging staff where they live—on their smartphones—a technology-based restaurant operating platform alleviates headaches for managers through the creation of a higher-performing staff, which leads to greater consistency in service. Also, with better performance comes higher morale and, ultimately, higher retention, across employees and managers alike. 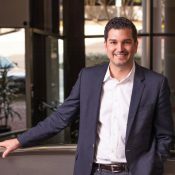 David Cantu is co-founder and chief customer officer of HotSchedules, a provider of mobile, cloud-based technology for the restaurant and hospitality industries. Its suite of products solve challenges associated with labor, scheduling, training, inventory, operations, and communications. HotSchedules serves more than two million users.